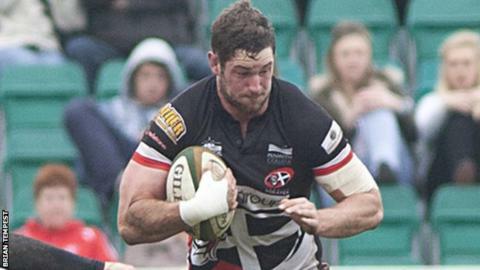 Plymouth Albion have further bolstered their forwards with the signing of lock Neale Patrick from Cornish Pirates. "He is a very good ball carrier and with his height will be a considerable asset in the lineout," said Albion boss James Shanahan. "Neale is strong in the set scrum and he will add physicality and power to our pack." and have already committed themselves to the Brickfields for the 2014-15 Championship campaign. "This season we have played some great rugby but have lacked punch up front," Shanahan said. Shanahan has also signed wingers Peter Horman from London Scottish and Jake Henry from Cardiff Metropolitan University. Horman came up though the Newcastle Falcons' academy and Shanahan says his speed will be an asset to his side. "Peter has struggled to settle in London and he will add power and pace to our back line next season," he said.